General Membership Luncheons that provide informative presentations and expert speakers on topics of significance and trends in the business community. 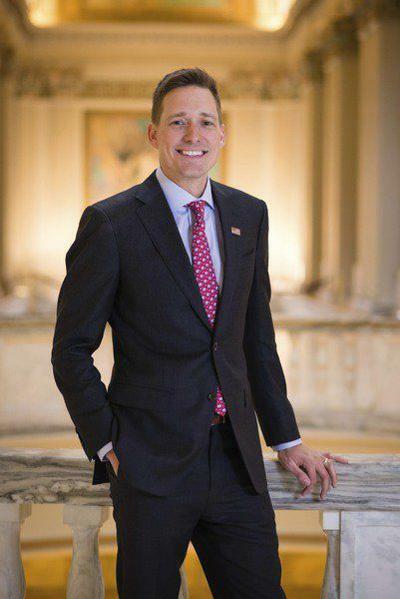 Matt Pinnell was elected Lieutenant Governor of Oklahoma on November 6th, 2018 with 62% of the vote and won all seventy-seven counties. Matt Pinnell also runs a small business with his wife, Lisa, an entrepreneur and inventor, and attends Redeemer Covenant Church in Tulsa. Matt is a graduate of Oral Roberts University and lives in Tulsa with his wife, Lisa, and 4 children who attend Jenks Public Schools. Program will begin at 12:00 p.m.